For more than 200 years, Presbyterians have remained unwavering in this one conviction: Jesus is Lord (1 Cor. 12:3). All power, truth, and salvation rest with God alone. Today, millions of people worldwide worship in Presbyterian churches; they gather as a grateful and loved people, eager to hear Scripture and celebrate the sacraments. They gather because God has called them into community to share with one another and the world a greater love, a brighter witness, a truer faithfulness, than they could achieve alone. Presbyterians have always chiefly been a “sent” people. Today, the PCUSA shares the gospel through the ministry of 200 mission coworkers in 75 countries working on matters of evangelism, reconciliation, and the alleviation of poverty. Presbyterian Disaster Assistance witnesses to the healing love of Christ by caring for communities in the midst of crisis. And heeding the call of the Holy Spirit, Presbyterians across the country are building up 1,001 new worshiping communities and empowering congregations to seek out new beginnings and engage their diverse communities. Recognizing the need to support Presbyterian Church (USA), a portion of the mission budget directly supports Presbytery de Cristo and Presbyterian Mission Agency. 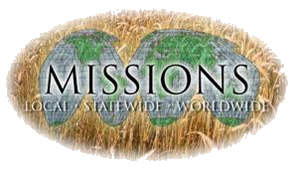 While the funds to the mission agency are undirected, the monies to the Presbytery de Cristo support Youth and Young Adult Ministry, New Church Development, Church Revitalization, Community services, and Border Ministries. Specific needs can be addressed through the web sites of PCUSA and/or Presbytery de Cristo. Prayer support for Christ’s church is critical. The year 2016 marked the 179th anniversary of international mission by the General Assembly of the Presbyterian Church, (USA). Over the years, Presbyterian missionaries have planted churches, built hospitals, and started schools on every continent. The seeds sown by those missionaries have, in many places, developed into self-sustaining churches and institutions now led by local Christians. In fact, more than 94 million Christians around the world now belong to churches that were founded or co-founded by Presbyterian Church (USA) mission workers. Today, nearly 200 mission co-workers in 50 countries are engaged in equally vital ministries of sharing faith and working against poverty and violence. Our monies to General Missions support this program.